Sehr spannende News und interessanter Move von PotashCorp. (NYE:POT) diese Woche. Im Hinblick auf die niedrigen Bewertungen im Rohstoff-Sektor kommt die Übernahme-Offerte nicht unerwartet. Der kanadische Branchenriese will durch die Übernahme von K+S (XE:SDF) seine Vormachtstellung im Weltklasse Kali-Bezirk von Saskatchewan ausbauen (vgl. Legacy Projekt), sowie im europäischen Markt Fuß fassen..
Potash Corp. of Saskatchewan Inc. has made a bid for Germany’s K+S AG fertilizer company, the European-based miner said. K+S, which is building a big potash mine in Saskatchewan, said the Canadian company has submitted a proposal to acquire all of its shares. Potash Corp., the world’s biggest fertilizer producer, also indicated it may go hostile – it told K+S’s board it may make an offer to shareholders depending on certain conditions..
Ein großes Vertrauenszeichen, was für sich spricht. Uranium Energy (NYE:UEC) schafft es binnen weniger Tage 10 Mio. US-Dollar von zwei institutionellen Investoren einzusammeln, die zu einem Premium investieren.. 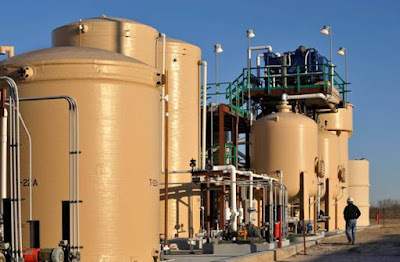 Uranium Energy Corp (NYSE MKT: UEC, the “Company”) is pleased to announce the closing of its previously announced public offering (the “Offering”) of 5,000,000 units of the Company (each a “Unit”), at a price of $2.00 per Unit, for gross proceeds of $10,000,000. Each Unit is comprised of one share of common stock of the Company and 0.50 of one share purchase warrant (each a “Warrant”), with each whole Warrant being exercisable at a price of $2.35 to purchase one share of common stock of the Company for a three year period from the date of issuance..
Der amerikanische Uran-Konzern Uranium Energy (NYE:UEC) reagierte noch am Freitag auf die krasseShort-Attacke von TheStreetSweeper mit einer kurzen, aber prägnanten Presse-Meldung.. 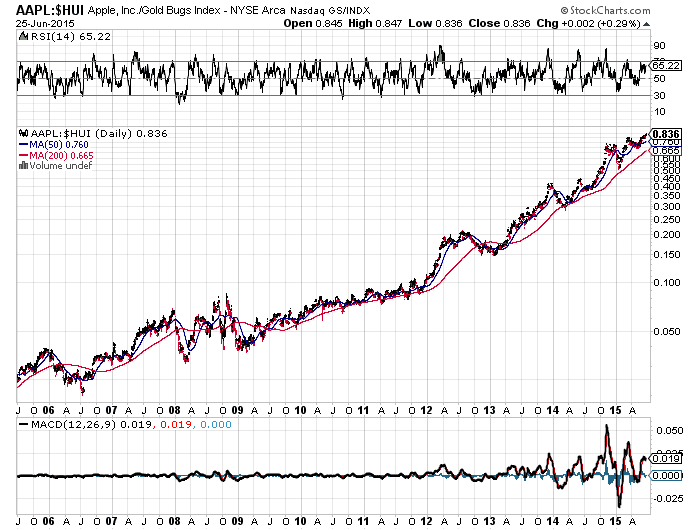 "...The market capitalization of #Apple alone is almost 820% higher than that of all components of the #Gold Bugs Index combined..."
Kritische Chart-Situation im wichtigsten Goldminen-Index (HUI) der Welt.. Die kanadischen Graphit-Gesellschaften werden in puncto Markteinfluss, Kapital-Effizienz und Fahrplanerfüllung weiterhin von den australischen Firmen um Längen abgehängt..
Der kapitalstarke Projektentwickler Continental Gold (TSX:CNL) verkündet heute die heiß erwartete, neue Ressourcen-Schätzung für das Hauptprojekt Buriticá im rohstoffreichen Südamerikastaat von Kolumbien. Alle Erwartungen, u.a. im Hinblick auf die Größe, Qualität inkl. der Gold-Gehalte, wurden um Längen geschlagen - und so erzielt die Junior-Firma einen ganz großen Meilenstein..
TORONTO, ONTARIO--(Marketwired - June 24, 2015) - Continental Gold Inc. (TSX:CNL)(OTCQX:CGOOF) ("Continental" or the "Company") is pleased to announce an updated mineral resource estimate for the Yaraguá and Veta Sur vein systems at its 100%-owned Buriticá project in Antioquia, Colombia. Undertaken by independent consultants, Mining Associates Limited ("MA"), the mineral resource estimate is based on 271,003 metres of drill core sampling and 7,215 metres of underground sampling (as at May 11, 2015) and was prepared in accordance with National Instrument 43-101 ("NI 43-101")..
"This current mineral resource estimate significantly surpassed our internal growth expectations for both Measured and Indicated plus total ounces for these categories, and is a testament to the scale of the deposits at Buriticá as well as our team's ability to find and delineate ounces at less than $15 per ounce," commented Ari Sussman, CEO. "With 4.71 million Measured and Indicated gold equivalent ounces, the Company plans to forgo the scheduled updated Preliminary Economic Assessment in H2 2015 and will instead initiate a Feasibility Study, the details of which will be released shortly once the relevant contractors are engaged and scheduling has been finalized." Dr. Vic Wall, Special Advisor to Continental, oversaw the mineral resource modeling and noted: "The Mining Associates mineral resource model for the Yaraguá and Veta Sur vein systems is the best done to date for the Buriticá project, yet remains well-constrained geologically and conservative in its estimations. The Company is hopeful that the gold and silver resources in both systems continue to grow from future infill and step-out drilling, and that mineral resource confidence levels increase with further underground drilling. 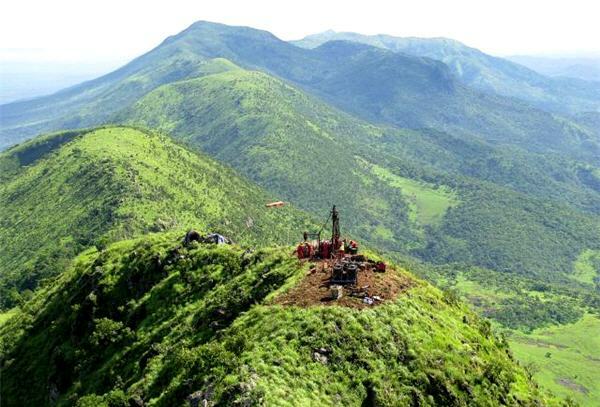 Exploration of other largely untested targets to date may contribute to realizing additional precious metal potential of Continental's flagship Buriticá project.."
Top-Developer Continental Gold (TSX:CNL) verkündet neue Bohrergebnisse, welche erneut die rare Qualität und das massive Explorations-Potential vom Hauptprojekt Buriticá unterstreichen. Die Continental-Aktie konnte in den letzten 8 Wochen bereits einen Teil ihrer fundamentalen Unterbewertung (vgl. Peer Group Goldminenbranche) wettmachen, hat jedoch auch weiterhingewaltiges (Out-)Performance-Potential.. The market for copper is equal to approximately $120 billion each year, which rivals that of even iron ore. This huge market exists because people need the red metal for technology, infrastructure, and automobiles. However, there is a problem: a large supply deficit of 10 million tonnes is expected by 2028. In this infographic, we examine long-term trends and the outlook for copper supply..
Großartige Idee von Junior-Firma Integra Gold (TSX-V:ICG), die quasi die legendäre "Goldcorp-Challenge" wiederholen wollen, welche damals von Branchenlegende Rob McEven im Weltklasse Red Lake Gold District ins Leben gerufen wurde und zu einem der größten Erfolge in der globalen Goldminenbranche führte. When Integra Gold Corp. bought the Sigma-Lamaque mine in Quebec last year, it came with an unexpected treasure trove: 70 years of prospecting data. 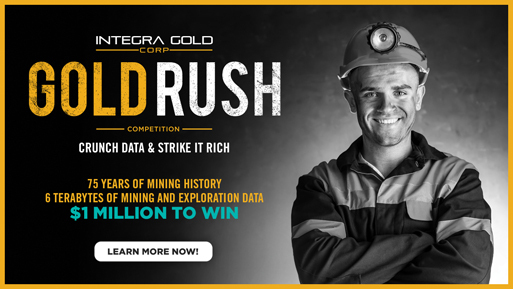 Now the Canadian miner plans to start an Internet-based gold rush with the six terabytes of information. Instead of analyzing the drill-sample reports and geological surveys it found among papers and folders at Sigma-Lamaque, Integra will upload the studies to the Web and let anyone sift through them. Whoever finds the next multimillion-ounce deposit wins a C$1 million ($811,000) prize. Integra is betting the crowdsourcing initiative can be a cheap alternative to inject some much-needed innovation into an industry that’s struggling with high costs and low commodity prices, said Stephen de Jong, chief executive officer of the Vancouver-based company. The end of a decade-long commodity bull market is forcing mining companies to cut back on research and exploration..
What was it like Dad? 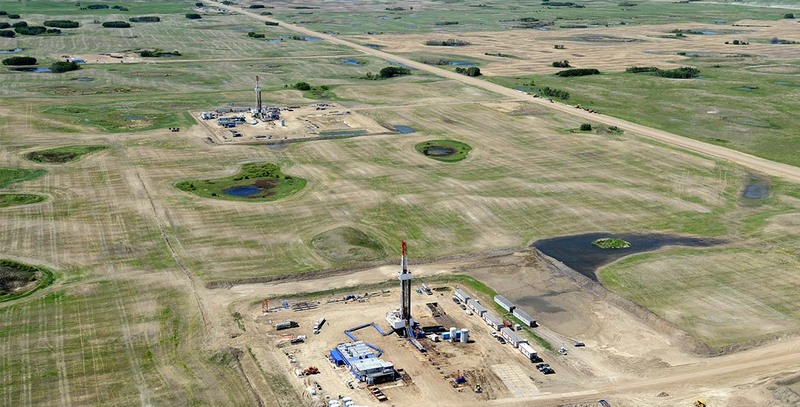 First published in Brent Cook’s Exploration Insights newsletter – June 14, 2015. It was tough kid. We were just coming out of the most perfect spring. The fruit trees were all in blossom, streams filled with fish, deer abounded, and we were all feeling pretty right with the world—we owned it and were the chosen ones. Then we headed out across the flats, believing the prophets that the next paradise, just over the horizon, was even better. But the horizon never came, the land turned to salt flats and dust; the temperature reached 110°, day after day after day. We burned and suffered. The roving bandits knew we were doomed and had no interest in what little we had left. Each promising oasis was a mirage and one by one we lost our way, numbed and staggering in all directions. We lost nearly everyone on that journey which began so optimistically—and naively. It was brutal and devastating kid; I hope to never go through that again. But some of us did survive to carry on, and I’m here to tell you about it..
Gold: Wie hoch wäre die Bewertung bei einer kompletten Deckung der globalen Verschuldung? If all the world’s debt were backed by gold, the US dollar price of the yellow metal would be nearly $34,000. Frank Holmes of US Global Investors explains the math in an insightful article. 5.9 billion ounces = total above-ground gold in world. At $1,181 per ounce, that’s about $7 trillion. Total global debt = $200 trillion. $200 trillion divided by 5.9 billion = $33,898. It’s an eye-opening number in a world where the gold standard reigned supreme for most of modern history..
Das Update ist ganz frisch und aktuell. Der Chart bestätigt erneut, dass die aktuelle Jahreszeit (bzw. die nächsten 2-3 Wochen) historisch und traditionell gesehen sehr lukrativ ist, um beim Gold eine Long-Position aufzubauen. In den letzten paar Jahren lief der Goldmarkt jedoch bekanntermaßen komplett konträr. Demnach muss wie immer alles mit Vorsicht genossen werden.. It makes sense that pricing of industrial metals (like aluminum, copper, nickel, zinc, etc.) would make for a decent barometer of economic strength. These metals go into the manufacturing of a myriad of products. Thus, their pricing, i.e., a sign of the level of demand for these metals, is a tip off to the level of global economic demand present. The failure of the Industrial Metals complex to hold key support would appear, to us, to bode ill for the global economic outlook. The key support level threatening to give way was the 61.8% Fibonacci Retracement (near 307) of the rally from 2009 to 2011 to which the Index had recently dropped. That level, at the time, had held for several days, confirming its relevance, and perhaps significance, as a support level. We had seen the price of crude oil as well as the comprehensive CRB commodity Index break their own such 61.8% Fibonacci levels en route to major collapses. However, we also saw copper hold its similar level so it appeared that the Industrial Metals could go either way. Considering the lack of any bounce at all off of the 61.8% level, the chart had the looks of a continuation pattern. Thus, our suspicions were that the index would eventually break down. Well, our suspicions were correct…for 1 day. 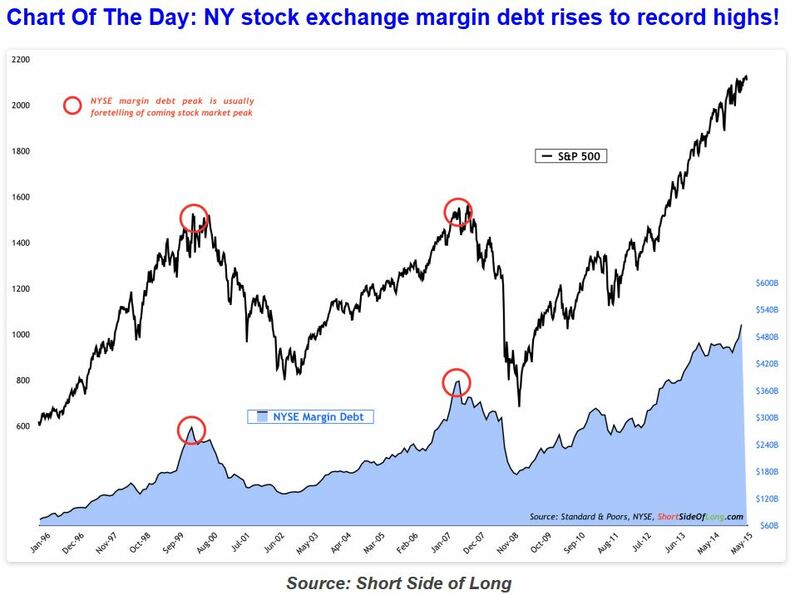 On March 18, the Index appeared to be breaking down, only to reverse itself the following day and commence a furious rally over the subsequent 6 weeks. After jumping some 13%, the Industrial Metals Index tested its previous break-down level from December near 345 – and failed. Over the past 6 weeks, the Industrial Metals Index has gotten pummeled, losing its entire post-”false breakdown” gains. It has returned to the key 61.8% support level around 307 and, this time, it is threatening to slice through it. 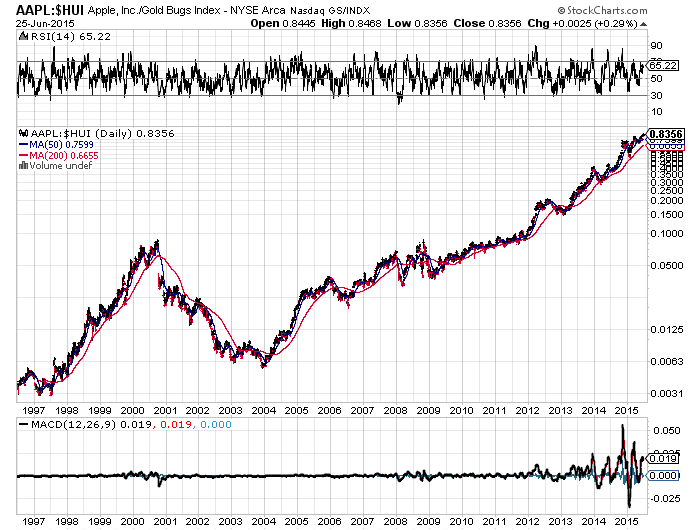 The fact that the Index has dropped immediately to new 6-year lows is a concern. One would expect prices to at least be temporarily slowed by the prior lows. The failure to do that suggests a dearth of demand at this formerly key level. That said, prices could certainly be setting up another false breakdown. If the index is able to recapture that 307 line in short-order, that possibility cannot be overlooked. That could further lead to the potential of this down move being a successful test of the March lows. Thus, all of this action near the 61.8% line could just be a complex bottoming process. 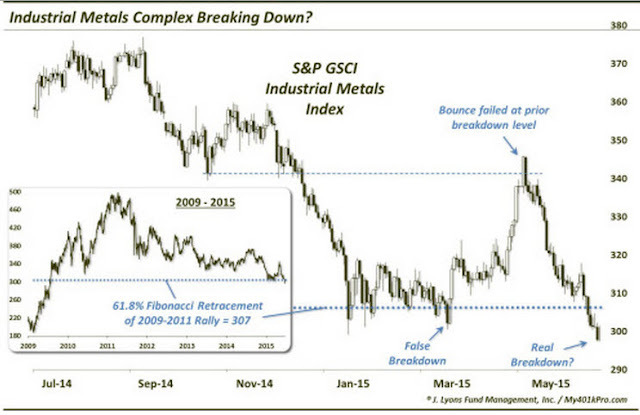 Furthermore, and we are looking well ahead here, if such a successful test leads to a rally above the May highs, it could signify a potentially major long-term low in the Industrial Metals complex. However, that is merely the “could be”. We prefer to deal with the “what is”. And what is happening is that the Industrial Metals Index is breaking down below the key 61.8% Fibonacci Retracement of the 2009-2011 rally. 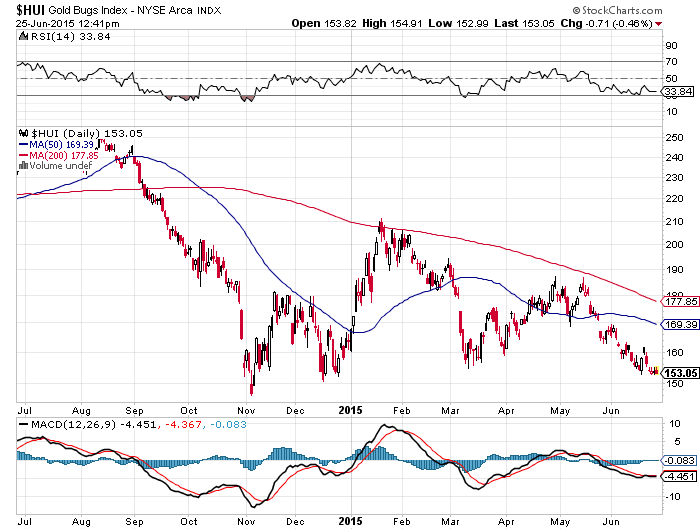 Further breakdown in prices could, again, be a sign of global economic weakness. 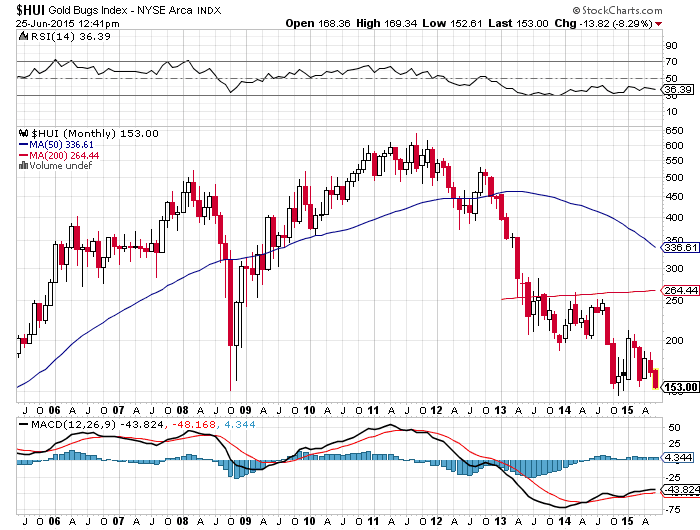 And perhaps arguing for a further breakdown in prices is the recent action in the U.S. Dollar. Interestingly, in March, when the Industrial Metals Index was last breaking down, it was doing so in the face of a soaring dollar. That is not the case now. In fact, since the Index peaked in early May, the U.S. Dollar is actually lower by about 1.5%. Therefore, we can’t merely look at this as an anti-dollar move. It has come of its own accord, without the headwinds of a U.S. Dollar rally. If the Dollar were to rally, it’s possible we could see a significant acceleration of this plunge in the Industrial Metals. For now, we’ll just focus on that 307 level. Above it, the Index has a chance to rally. Below it, it could be bombs away. Right now, we are below it. Therefore, we will continue to look for more downside in the Industrial Metals. And that downside could mean more than just losses in this space – it could be a warning sign for global economic demand. Die ersten 9 Bohrlöcher vom laufenden Explorationsprogramm auf dem Kinsley Mountain Projekt im US-Bundesstaat von Nevada sind da. 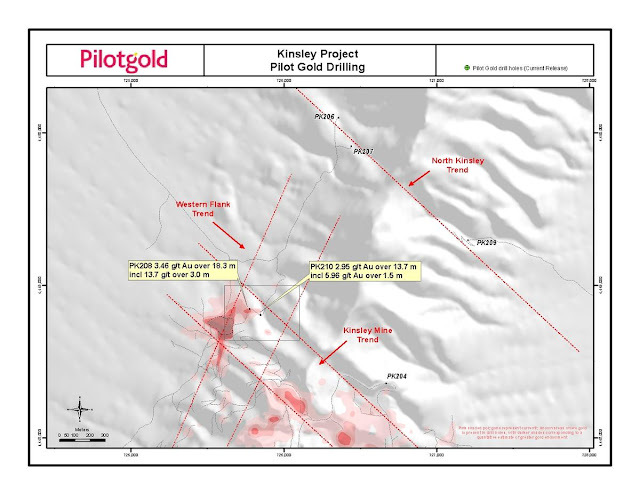 Junior-Explorer Pilot Gold (TSX:PLG) schafft es westlich der hoch-gradigen Western Flank Zone zwei interessante Step-Out-Bohrungen zu erzielen..
VANCOUVER, BRITISH COLUMBIA--(Marketwired - June 23, 2015) - Pilot Gold Inc. (TSX:PLG) ("Pilot Gold" or the "Company") is pleased to report results from the initial 2015 drill program at the Kinsley Mountain Project in eastern Nevada. Drill results from an area approximately 150 metres northeast of the high-grade Western Flank intercepted high-grade gold in two key stratigraphic horizons, indicating the presence of a new mineralized zone that remains open to the east and west. The new intercepts are from the Dunderberg (Candland) Shale and the Secret Canyon Shale units which contain most of the known gold mineralization at Kinsley and are believed to underlie a significant portion of the Kinsley property. 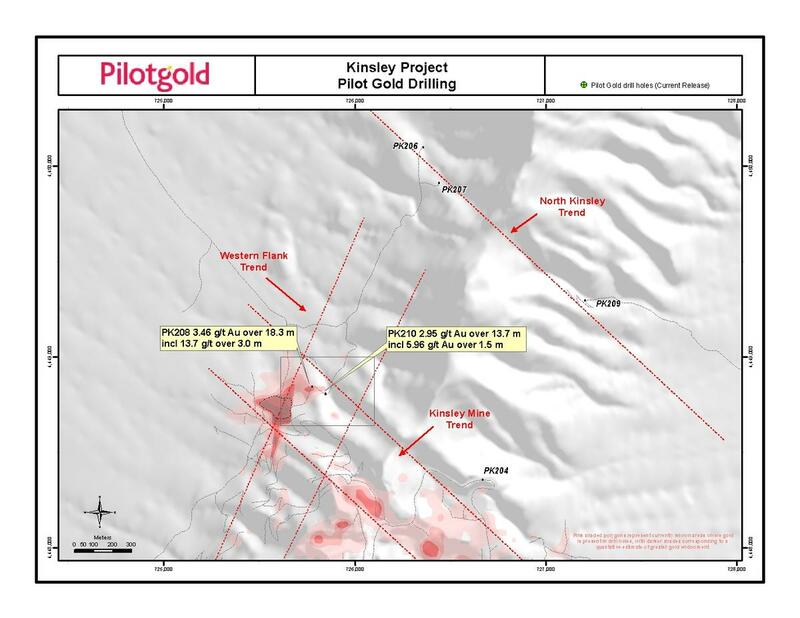 "We are very excited to kick-off the 2015 program at Kinsley on a high note with the discovery of a new high-grade zone 150 metres northeast of the high-grade Western Flank Zone," stated Matt Lennox-King, President and CEO. "It is our belief that the Western Flank Zone is not an isolated occurrence and there is a high probability of ongoing discoveries at Kinsley. These results confirm our exploration model for the discovery of new areas of mineralization." The initial 2015 field program at Kinsley is currently budgeted at US$2.0 million and will include up to 10,000 metres of RC and 1,000 metres of diamond core drilling. Thus far, 4,300 metres have been completed in 9 holes (and one lost hole), including three that were drilled for the purpose of conducting an IP survey. The remaining program will focus on following up the new discovery and will also test a number of high-priority targets across the property. Exploration of this nature is drill-intensive and iterative; the program will be continually evaluated in light of data and interpretations from each and every drill hole..
Vor ein paar Wochen hatte ich auf meiner USA-Reise die ausgezeichnete Möglichkeit eine Projektbesichtigung bei Gold-Junior Castle Mountain Mining (TSX-V:CMM) durchzuführen. Zusammen mit diversen Analysten, Fondsmanagern und Journalisten schauten wir uns intensiv Castle Mountain’s gleichnamiges Haupt-Projekt an, welches sich US-Bundesstaat von Kalifornien befindet (siehe Map unten) – ganz in der Nähe an der Grenze zum Top-Goldminen-Staat Nevada in den USA. Historische Goldmine, in der profitabel mehr als 1,2 Mio. Goldunzen gefördert wurden. Etablierte Projekt-Anbindungen, sehr gute Infrastruktur. Straßen in guter Kondition. Wirkt sich alles sehr positiv auf die Durchführbarkeit und die Kosten der Exploration und Projekt-Entwicklung aus. Dazu keine Community-Opposition rund um das Projekt. Ansehnliche Ressourcen-Basis: Totale Ressourcen stehen bei 4,2 Mio. Goldunzen zu ca. 0,58 Gramm Gold pro Tonne. Rund 3,1 Mio. Goldunzen in der M&I Kategorie. Solide Gold-Gehalte für eine Open-Pit Heap Leach Mining-Operation. Bedeutendes Explorations-Potential ist nach wie vor vorhanden. Viele Bohrziele wurden definiert. Extrem hoher Goldpreis-Hebel: Goldunzen-Bewertung liegt bei 8 USD/Oz Gold-Ressource. Partielle Operations-Genehmigung liegt vor (Mining Conditional Ue & Recalation permit). EIS/EIR fertiggestellt. Test von weiteren Wasser-Quellen in 2015. Minengenehmigungs-Prozess läuft parallel zur Projekt-Entwicklung auf Hochtouren. Ziel für die nächsten 12-24 Monate: Erhöhung der Goldgehalte, Reduzierung des Strip Ratios, neue Ressourcen-Expansion und die Fertigstellung eines neues 3D-Modells. Umstrukturierung im Head-Management erfolgreich abgeschlossen. Starkes Operations- und Feld-Team mit erfolgreichem Track-Record und viel Erfahrung. Das Management von Castle Mountain wird bei der AGM diese Woche vermutlich für einen Namenswechsel plädieren, um die ausführliche Umstrukturierung zu untermauern. Einblicke in das Office von Castle Mountain in Las Veas. Auf dem Bild ist Castle Mountain’s VP für den Technischen Service, Mr. Marty Tunney, zu erkennen. PwC: Letzter ausführlicher Jahres-Report zum Standpunkt der Minen-Industrie: "Mine 2015 - The Gloves Are Off"
The latest annual report by management consultants PwC about global trends in the mining industry shows just how sharp the decline has been. Mine 2015 examines the 40 largest mining companies in the world and at just under $800 billion, their aggregate market value is now back to 2005 levels and half of what it was four short years ago. The report titled The gloves are off also notes that despite a relatively stable gold market, 2014 was another year of heightened price volatility. It warns the stormy conditions in the sector may only intensify as supply and demand are knocked more out of kilter. John Gravelle, global mining industry leader for PwC, tells MINING.com current weakness is probably more of a supply issue than a demand one, with many of the Tier 1 assets bought when the going was good now coming on stream..
Analyst und Journalist Scott Armstrong von Energy & Gold setzte sich letzte Woche mit Leigh Curyer, dem CEO von NexGen Energy (TSX-V:NXE), für ein informatives Interview zusammen (siehe unten). Info vorab: Der erfolgreiche Uran-Explorer NexGen Energy publizierte vor kurzer Zeit ein wahres Weltklasse Bohrloch, das bis dato der beste Treffer der Unternehmens-Geschichte gewesen ist und allgemein eines der besten Bohrresultate war, das jemals im renommierten Athabasca Basin erzielt wurde. Das kann sich natürlich mehr als sehen lassen und ist vor allem sehr positiv wenn man sich die lethargische Entwicklung im Junior-Minensektor so anschaut, der weiter in einem der schwersten Bärenmärkte aller Zeiten gefangen ist. NexGen ist da gerade ein wahrer Lichtblick.. Yesterday, a Vancouver-based mineral exploration company drilled one of the best holes in the history of uranium exploration. 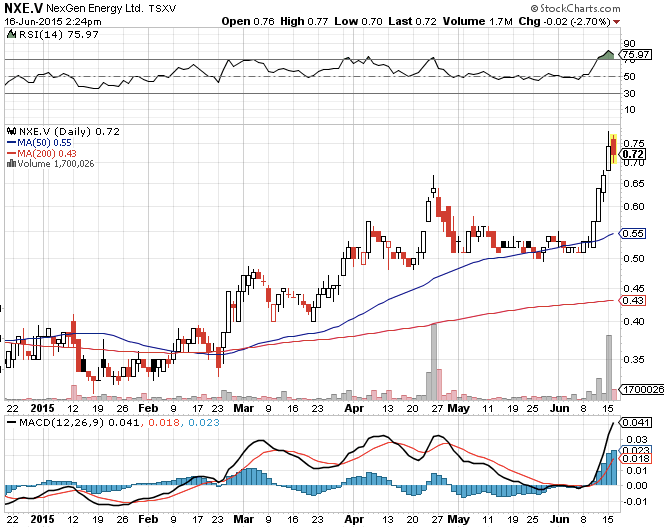 NexGen Energy’s (NXE.TSXV) AR-15-44b resulted in 56.5 meters grading 11.55% including 20 meters at 20.68% U3O8, and shares in the junior company soared 10.45% Monday. The result was widely hailed by the analyst community. Cantor Fitzgerald’s Rob Chang now estimates NexGen’s Arrow resource to be 114.8 million pounds of uranium at an average grade of 0.89%. Mr. Chang has a Speculative Buy rating and no price target on NexGen’s shares, which closed at $0.74 Monday. 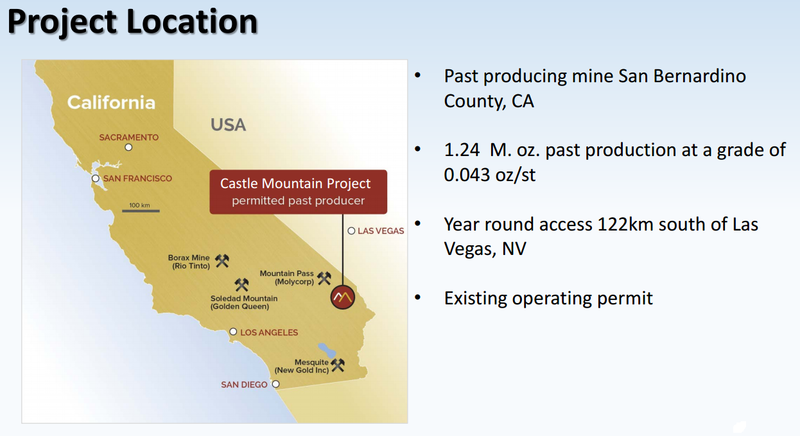 He did however speculate that on a takeout, quality projects in the area could fetch $6-8 per pound of uranium in the ground, or $2.34-$2.73 per NexGen share. While Mr. Chang’s resource model is early-stage and speculative in nature, we share the analyst’s enthusiasm for NexGen. EnergyandGold.com was fortunate to get on a call with NexGen CEO Leigh Curyer to discuss drilling progress and get an update on the company. Scott Armstrong: Great to have you here Mr. Curyer. Could you start by describing what makes NexGen unique in the uranium space? Leigh Curyer: Throughout the management and board of NexGen we are uranium professionals with a long history in the uranium sector. We have a very focused approach on the type of mineralization we are looking to develop, and in a very short period of time we have discovered what looks to be a world class uranium discovery in the Athabasca Basin..
Der erfolgreiche Uran-Explorer NexGen Energy (TSX-V:NXE) publiziert heute ein wahres Weltklasse Bohrloch, das bis dato der beste Treffer der Unternehmens-Geschichte ist und allgemein eines derbesten Bohrresultate, die jemals im renommierten Athabasca Basin erzielt wurden. Respekt! Der Aktienkurs setzt zurecht seinen Höhenflug fort..
Der amerikanische Uran-Konzern Uranium Energy (NYE:UEC) reagierte noch am Freitag auf die krasse Short-Attacke von TheStreetSweeper mit einer kurzen, aber prägnanten Presse-Meldung. "..The subject press releases have absolutely no merit and are comprised of unfounded allegations made by a third party whose motives are questionable. The Company has reviewed the referenced article. The Company’s SEC disclosure is very clear and we will not comment further on the possibility of groundless, frivolous litigation. UEC is in discussions with counsel with a view to doing whatever is necessary to bring these parties’ motives to light and to seek such legal and equitable relief and any and all damages suffered by the Company and any of its shareholders as a consequence of these unfounded allegations..."
"The power of the internet sometimes is a bit unfair. UEC is down 30% today on the back of a negative blog and subsequent legal action by two law firms with a history of filing corporate lawsuits. Sometimes it’s better to read articles from the bottom up as the disclosure of a short position at the end of the blog is perhaps the most important sentence in the entire article. Our thoughts below." Event: A blog with a disclosed short position on UEC issued comments that were apparently sufficient grounds for two legal firms to press release their initiation of investigations against UEC. Bottom line: Based on our years of following the uranium space and coverage of Uranium Energy Corp, we do not share the view held by the blog or the two legal entities launching the investigation. The fact that two legal investigations were initiated solely off of an article disclosing a short position on the stock is baffling. We view any pressure on the stock based on these news items as irrational. We are maintaining our Buy Recommendation and a $3.10 per share target. Previously unknown financial blog, TheStreetSweeper.org, published a negative opinion on Uranium Energy Corp on June 18, 2015. - Among the opinions offered, the blog noted that the company had made “zero sales in the past seven quarters”. We note that this is common practice in the resource industry as production is shut-in when commodity prices do not provide a reasonable return to the operator. 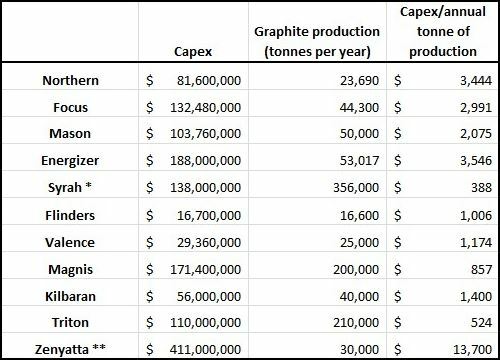 In fact, at Cantor Fitzgerald’s Global Uranium Conference earlier this month, nearly every presenter spoke about reduced production around the world due to low uranium prices. Citing the article from the blog, two legal firms press released that they were launching investigations against UEC. No other sources were cited. - These two firms had previously launched a lawsuit against Uranerz Energy’s merger with Energy Fuels (EFR-TSX, UUUU-Nasdaq, Under Review), which announced the closing of its transaction yesterday. - In fact, searching the internet yields a long list of lawsuits filed by both of these firms against several companies across several industries. Ein einflussreicher US-Spieler zerreißt die Uran-Firma und fährt auf der Short-Seite massive Gewinne ein.. This analysis covers those gold production units that have two main distinctive features: disclosure of production numbers by the owner/operator and proximity of production units to each other. Thus, in this case, the gold operation can be individual mine or mine complex, that consists of open pit or /and underground mines. For example, Newmont’s Carlin Trend gold operations consist of both open-pit and underground mines, located close to each other and comprise mine complex with Newmont reporting production data for this unit separately. 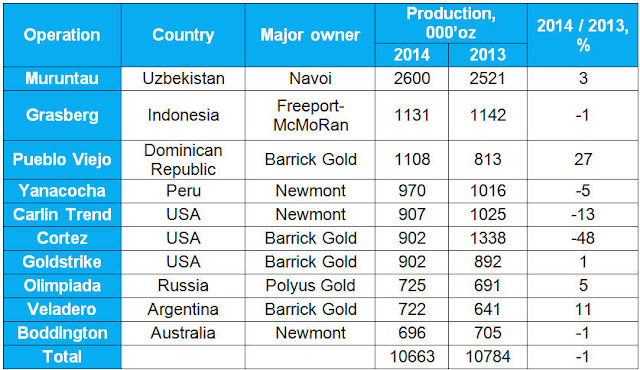 Here is the list of the world’s top ten gold operations, based on available 2014 production data that have been extracted from InfoMine’s IntelligenceMine database.. Die Marktteilnehmer sahen einmal mehr eine turbulente Handelswoche, die vom vielbeachteten FOMC-Event erneut durcheinander gewirbelt wurde. Sehr positiv zu erwähnen: Der Goldpreis (GLD) schaffte seine beste past-FOMC Rally (Performance nach der FED-Sitzung) während der letzten 12 Monate und konnte die Handelswoche mit rund 1,5% Gewinn abschließen. Nicht so die Gold-Majors. Aktien der großen Goldproduzenten (GDX, HUI, XAU) gaben ihre Gewinne zum Wochenende fast wieder vollständig ab. Die Underperformance der großen Goldminen versus dem gelben Metall erhält damit wieder besonders Auftrieb. Das HUI:Gold Ratio fiel zuletzt auf den tiefsten Stand seit Dezember 2014 zurück, welcher gleichzeitig ein Jahrzehnt-Tief darstellte. Ein Hauptgrund für die kontinuierliche Underperformance der Goldminen ist das hohe Gesamtkosten-Niveau, welches die realen Gewinnmargen enorm belastet. Relative Schwäche zum Goldpreis zeigte auch der Silberpreis (SLV), der seine Gewinne fast ganz abgab und die Woche mit einem Plus von lediglich 0,5% beendete. Silberaktien (SIL) hingegen stiegen wesentlich deutlicher an. Besser zeigten sich auch die Junior-Goldminen (GDXJ), welche seit geraumer Zeit eine Outperformance zu den Majors halten können. Das wichtigste Junior-Mining ETF GDXJ schloss die Woche mit einem Gewinn von mehr als 3% ab. Der Handel bei den Ölaktien (DJUSEN, XLE) verlief nach dem FOMC-Meeting relativ unspektakulär. Da der Ölpreis auf Wochensicht rund 2% nachgab, belastete dies auch die Ölfirmen. Branchenschwergewichte wie Exxon Mobil oder Royal Dutch Shell notieren nur unweit des 52-Wochentiefs entfernt. Abgaben gab es erneut bei den Kupferminen (COPX). Bereits einige Wochen hält der Abwärtstrend beim Kupferpreis nun schon an, der die Kupferproduzenten natürlich besonders belastet. Die totalen Gesamtkosten der Kupferproduktion notieren nur noch knapp unterhalb des aktuellen Kupferpreises, was die realen Gewinnmargen zunehmend auffrisst. Ein gravierendes Problem in vielen Rohstoff-Segmenten. Standard-Minenaktien (TXGM) wurden von den niedrigeren Rohstoffpreisen (vor allem Kupfer und Eisenerz) zum Ende der Handelswoche in Mitleidenschaft gezogen. Auf Wochensicht notierten die Big Player der Rohstoff- und Minenbranche relativ unverändert. Uranaktien (URA) fielen im Wochenverlauf auf neue Mehrjahres-Tiefstände zurück. Belastet wurde der Rohstoff-Sektor u.a. vom Absturz bei Uranium Energy, welche Opfer einer brisanten Short-Attacke wurden. Zudem kommt der Verlauf des Uranpreises, der weiter in einem Bärenmarkt gefangen ist. 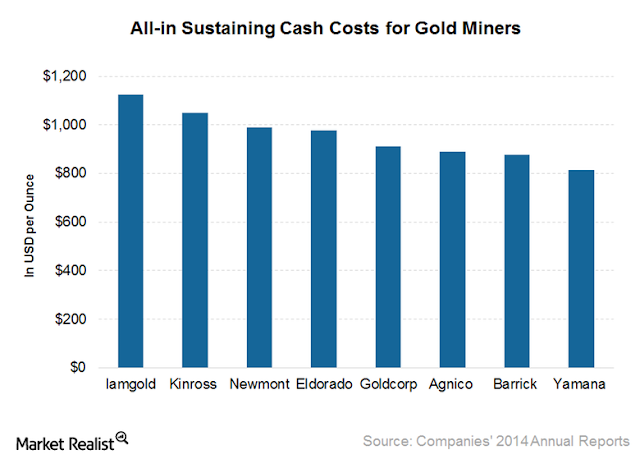 Zwar sind die reinen Produktionskosten (Cash Costs) und die All-in Sustaining Kosten (Cash Costs + Sustaining Capital) bei den Goldproduzenten in den letzten 24 Monaten teils deutlich gefallen, was vor allem auf aggressive Kostensparprogramme und eine bedeutende Reduzierung der Projektentwicklungs- und Explorations-Budgets zurückzuführen ist. Doch die realen Gesamtkosten der Goldförderung (All-in Costs incl. Interest Payments, Impairments, AfA, Total G&A, Expansions-Budget etc) verbleiben auf einem hohen Niveau..
AISC for various miners depends on the grades, efficiency, and geographical breakdown of assets. The average AISC for eight significant gold miners for 2015, as guided, is $950 per ounce compared to $900 per ounce for 1Q15. This cost excludes interest charges, impairment, and taxes. 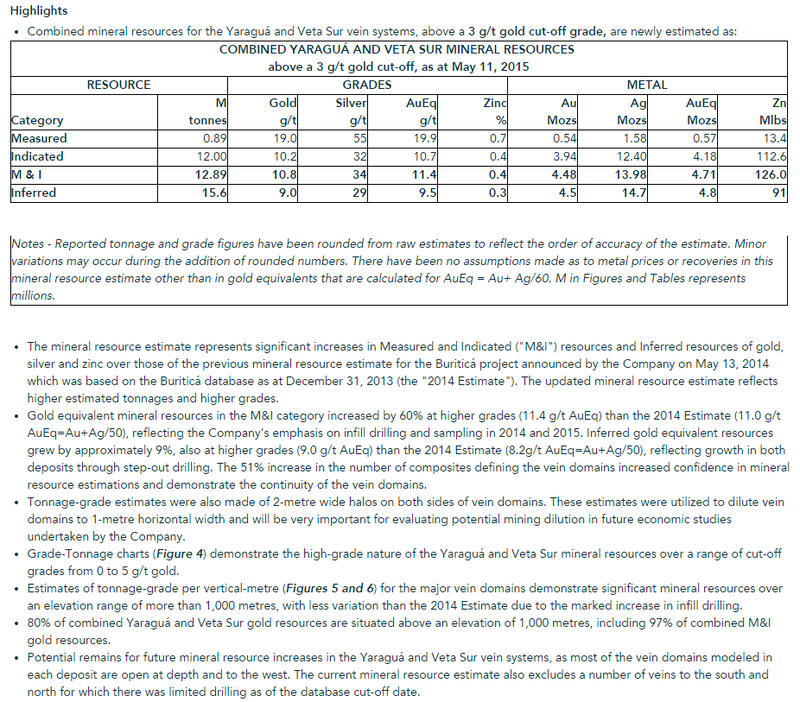 So including these charges, the margins for miners are very thin. 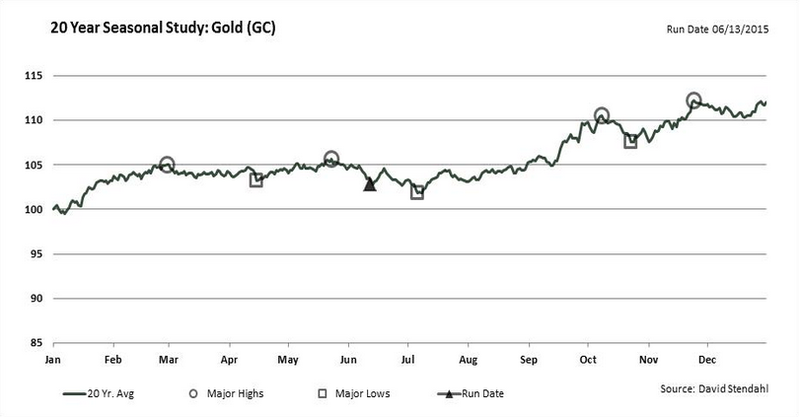 As the below graph shows, Iamgold Corporation’s (IAG) AISC guidance for 2015 is the highest at $1,125 per ounce. 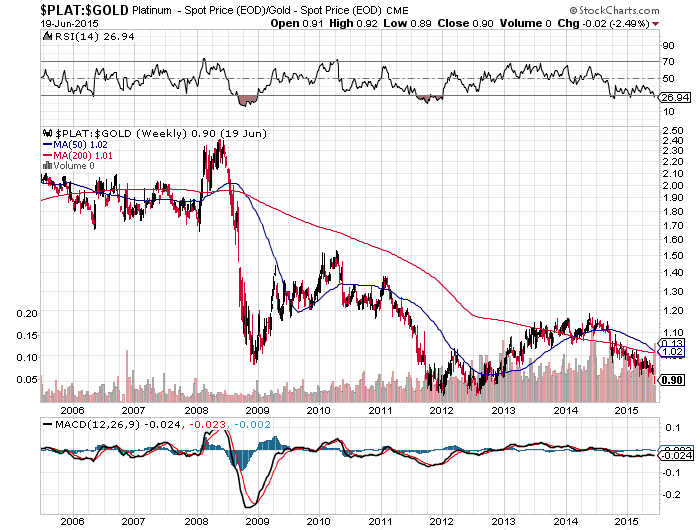 Next is Kinross Gold (KGC) at $1,050 per ounce. In comparison, Newmont Mining’s (NEM) AISC guidance is $990 per ounce, Barrick Gold’s (ABX) is $877, and Goldcorp’s (GG) is $912. According to a 2015 survey by Gold Fields Mineral Services Ltd. (or GFMS), gold miners’ average all-in costs, including interest and extraordinary costs, were close to $1,208 per ounce in 2014. This excluded the impact of impairments. The average gold price was $1,260 per ounce. Because of such narrow margins and debt issues, Allied Nevada had to file for Chapter 11 bankruptcy in March 2015.."